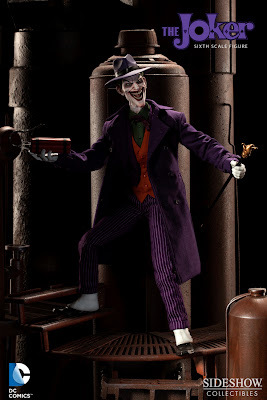 So it looks like the figure figure from Sideshow's DC Comics line won't be the obligatory hero, but rather a villain. 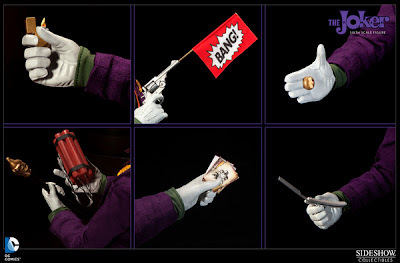 Batman's nemesis The Joker is set to be the first release, and it looks like he'll come complete with everything a Clown Prince of Crime could need! 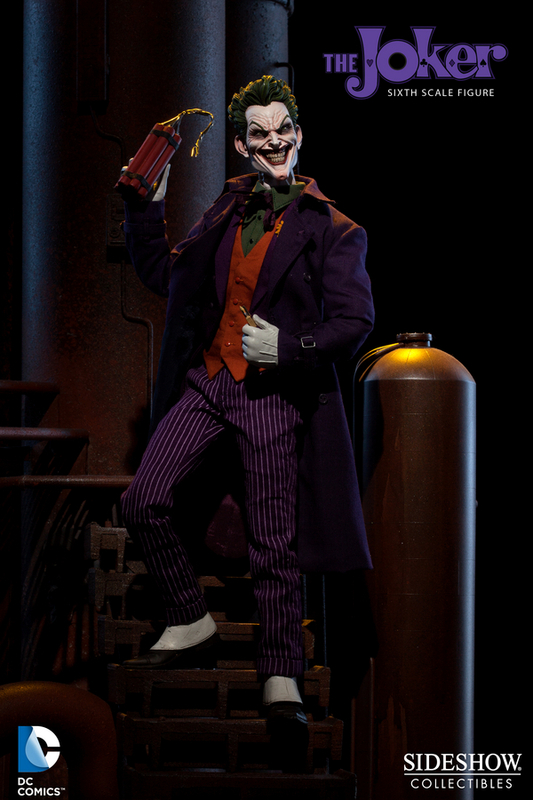 I saw the prototypes for many of these upcoming DC figures at Comic-Con last year and, in person, they are very, very impressive! 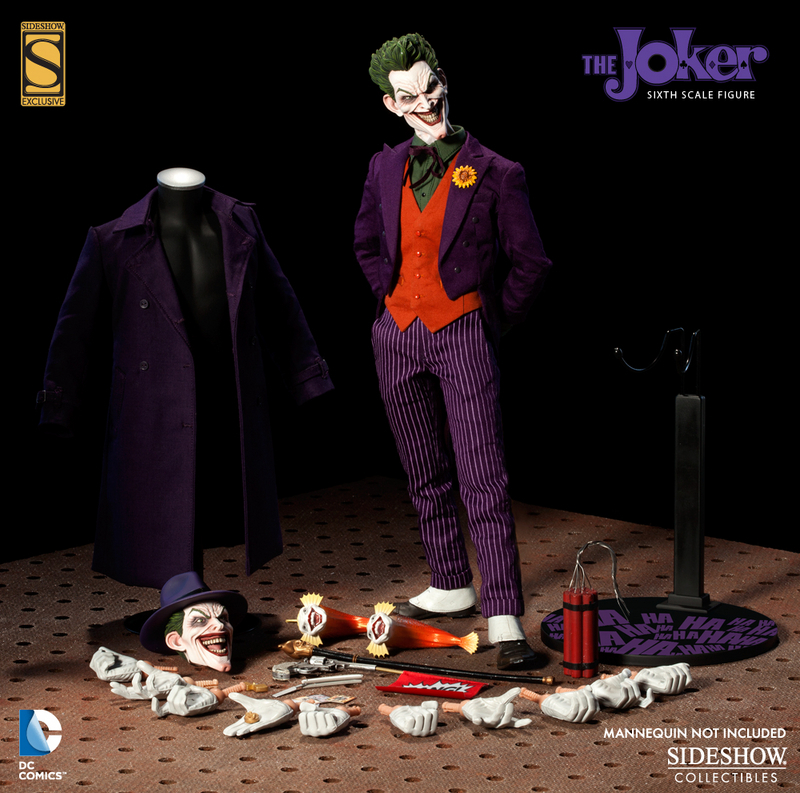 Now, here comes the bad part, Sideshow has been notorious since their inception for having brilliant, breath-taking prototypes and then totally screwing the pooch when it comes to the final production figure. This doesn't happen with any of their other products other than their 1/6 scale figures. 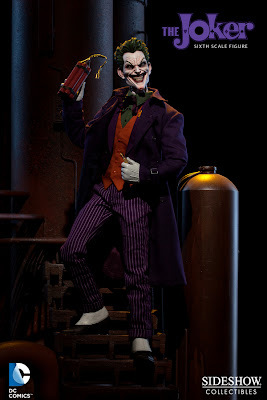 So, while I think this line can be the best DC comics line ever and could launch Sideshow many, many rungs up the 1/6 manufacturer ladder, until I see the final figure either in-hand, or in an online review, I won't be committing a single dollar and any kind of pre-order. 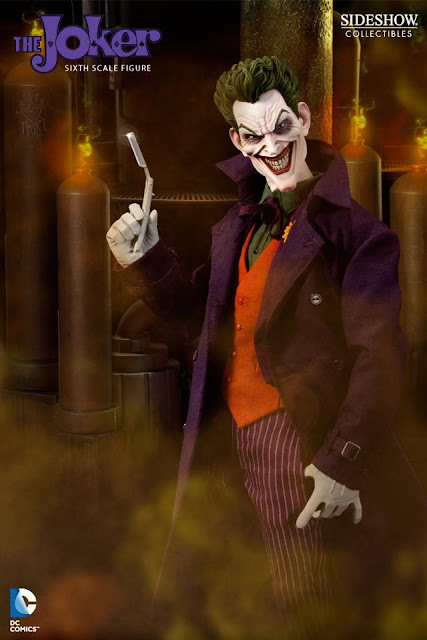 I've been burned too many times by bad production and quality control. 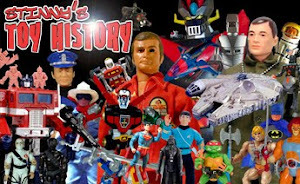 However, I am definitely going to pray to all the toy gods in heaven that these figures turn out as amazing as they look in prototype form. Okay, now on to the info. 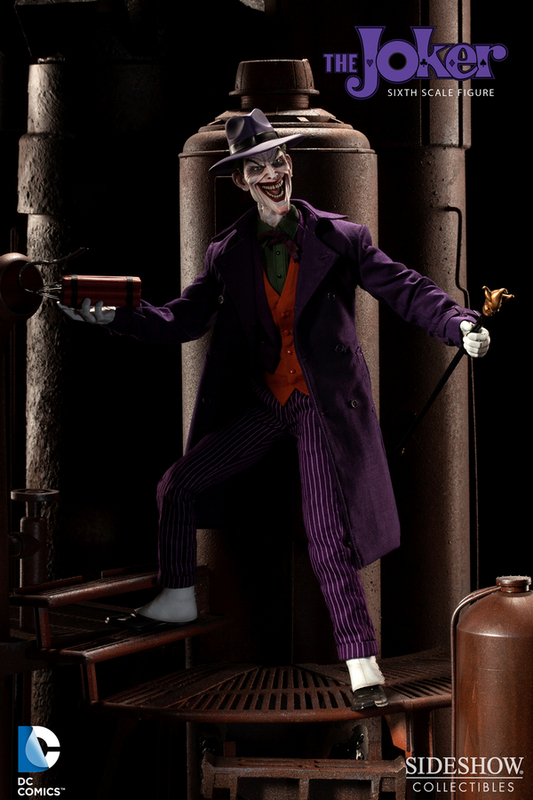 As with all Sideshow stuff, there will be a regular release and a Sideshow exclusive version. 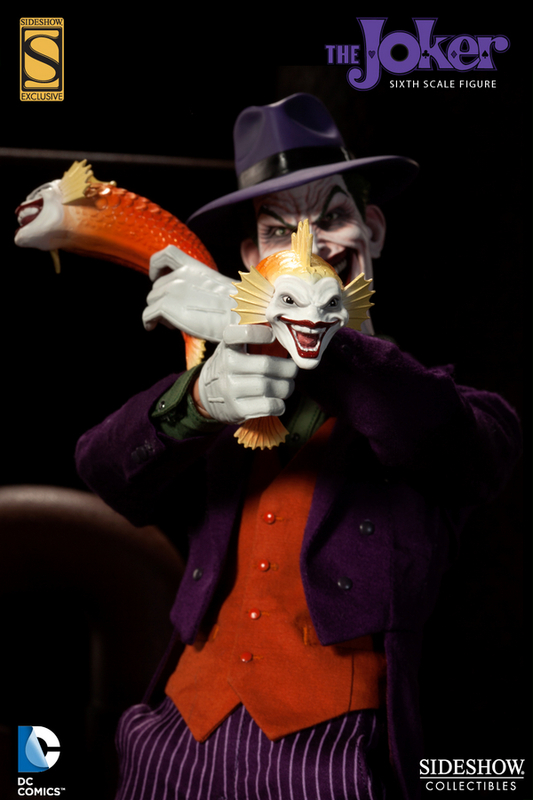 The exclusive version in this case will include the two "Joker fish". There's no doubt that this figure comes loaded with everything you'd hope to see in a Joker figure, and I guess that's what contributes to the price. The Joker will set you back 189.99 in August.